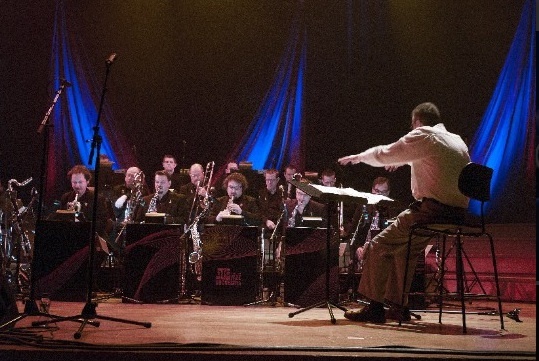 In March 2013, Michel Herr participated in the 20th anniversary tour of the Brussels Jazz Orchestra. (other names : Philip Catherine, David Linx, Tutu Puoane and Bert Joris). He conducted 2 of his pieces + an arrangement on Joni Mitchell's "Black Crow"
which he wrote for vocalist David Linx. Flagey, Brussels, March 21, 2013. Photo : Jos L. Knaepen.